If you have a valuable asset it makes good sense to protect it with security cameras. That's why we've been doing CCTV installation Auckland wide and beyond since 2010. Some of the team have experience dating back much farther to the early days of CCTV in Auckland. Auckland is the best place on earth to live and do business and we do our bit to keep it that way. Whether you need dozens of cameras on your industrial site, or just a few around the home we can help. Our clients have ranged from NZ Police, Auckland Council, the Royal New Zealand Air Force through to some of the largest logistics and transport companies in the world at their Auckland facilities. We're also pretty good at getting security cameras installed on and around your home ( often some of the trickiest installs ). 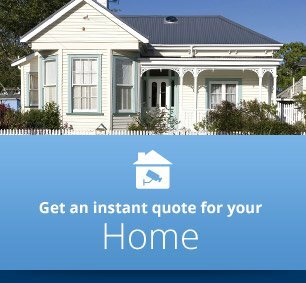 Whether it's a brand new semi-detached in Flat Bush, a 3 storey concrete palace in Remuera or a grand old villa in Epsom, we'll get it working without detracting from the appearance of your home. Special Note: Make sure you understand how to set cctv time by clicking on the link. It's often overlooked but the system time stamp is important. CCTV Installation Auckland. That's what we do all day long! There are a lot of ways people take your hard earned profit. Some of them you'll be aware of but some aren't so obvious. We've analysed tons of industrial business sites over the years and identified 10 ways it happens all the time. If you're going to install or upgrade CCTV at your business site you need to make sure the job is designed with these 10 margin killers in mind. Anyone can install CCTV cameras but what are they focussed on when they design your system? If you've ever used traditional CCTV you know how bad it can be! Sometimes finding footage of an incident can take hours and hours of your time. Time that should be spent on other things like growing your business for example. That's because most of these systems have a horrible user interface for a kick off. Then there's the problem that you and your team probably don't do it very often. You've got other things to worry about. Now you can find an incident in minutes. Even if you have absolutely no idea when it happened. Ever searched for footage and found that it wasn't there? 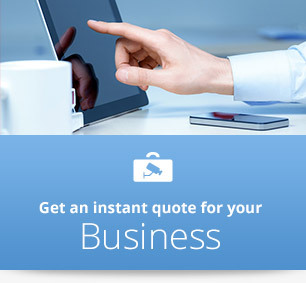 If you've used CCTV in business for any length of time you've probably been there! These systems are machines and machines break. Trouble is this machine is supposed to be protecting your profit. What if you had the peace of mind that your system was being monitored 24/7? Monitored in such a way that any error or outage or problem was identified and dealt with before you lose any valuable recordings? That's just a part of the service we deliver with our Support and Maintenance programme. Of course in this day and age cyber-security is also a huge concern and that's covered as well. You don't want a hacker to use your CCTV system to get into your business network but it's one of their favourite targets! It really doesn't make any sense to install a business CCTV system these days without this sort of monitoring. You're just leaving too much to chance. … you can now protect your people, property and profit in a much smarter way. Our industrial clients in Auckland tell us security cameras stop theft. Theft by staff, vendors and customers. They increase productivity and reduce downtime due to accidents. They improve workplace health and safety. Even customer service improves! CCTV is a powerful compliance tool when you use it right. Best of all it can even stop people wasting your time! So you can focus on growing your business. Our clients also say they want a robust system they can depend on. Industrial strength security cameras and CCTV you might say. When something goes wrong they know the footage is always there. And it never takes long to find it! Giving it to the police or the boss is a breeze. But … there has to be a compelling business case. No expensive servers ( so no expensive back-up server! ). No software license costs to pay when they add other security cameras. They also don’t want to wait in a phone queue when things go wrong. If any of that is of interest to you, get in touch. You can see whether our German technology & Kiwi ingenuity is right for your operation. We're not right for everyone, we know that. And that's ok.
CCTV Installations Auckland Wide. By Licensed Security Professionals with years of experience on sites like yours. Support & Maintenance. Because it's what happens after the install that counts! Remote Service. Fast and cost-effective using remote connection. On-Site Service. Because sometimes you need someone there. Upgrades. Firmware, software and hardware. Internet of Things but with cyber-security throw in to keep your network safe. Consulting. When you need a licensed Security Consultant to train, advise or do it for you. 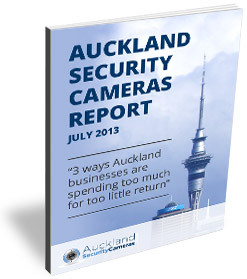 Make sure you download your copy of the new Auckland Security Cameras Report. It has important information for anyone considering installing or upgrading security cameras. It will help you get a whole lot more from your system, and it could save you a lot of money and hassle! Security cameras mean protection from theft, helping protect your profits. Protect your business from loss today with Auckland Security Cameras. 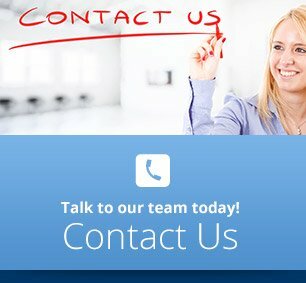 Considering a home security system? Keep an eye on your place with CCTV, deterring theft and giving peace of mind. Learn more now at Auckland Security Cameras. Gain peace of mind with Auckland Security Cameras. We have routine security camera maintenance in place to ensure your system always performs as it should. Help Page. Videos and instructions to sort out any trouble viewing your security camera footage. CCTV news and other useful stuff to help you get the most from your security cameras. The Auckland Security Cameras Blog keeps you up to date with all changes and updates to the site, and with any news we think might help you shoot more baddies! About Us. The Auckland New Zealand Security Company. Contact us about protecting your people, your property or your profits.